These are such pretty cabs. They are vintage glass from Japan. 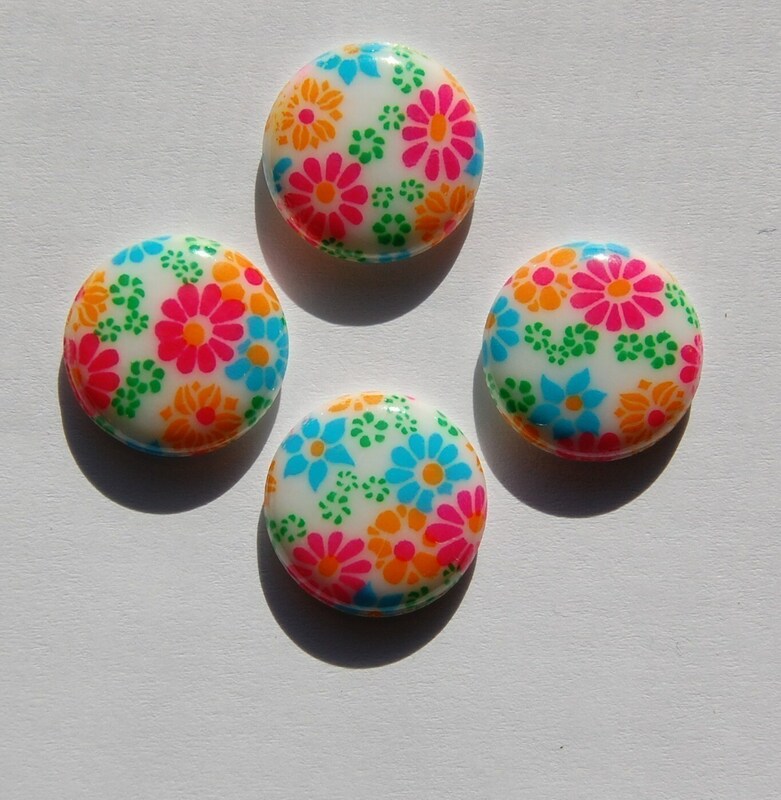 They feature a bright pastel colored all over flower design. These measure 15mm. You will receive 4 of them. So pretty! Exactly as described! Perfect. As described. Thank you.